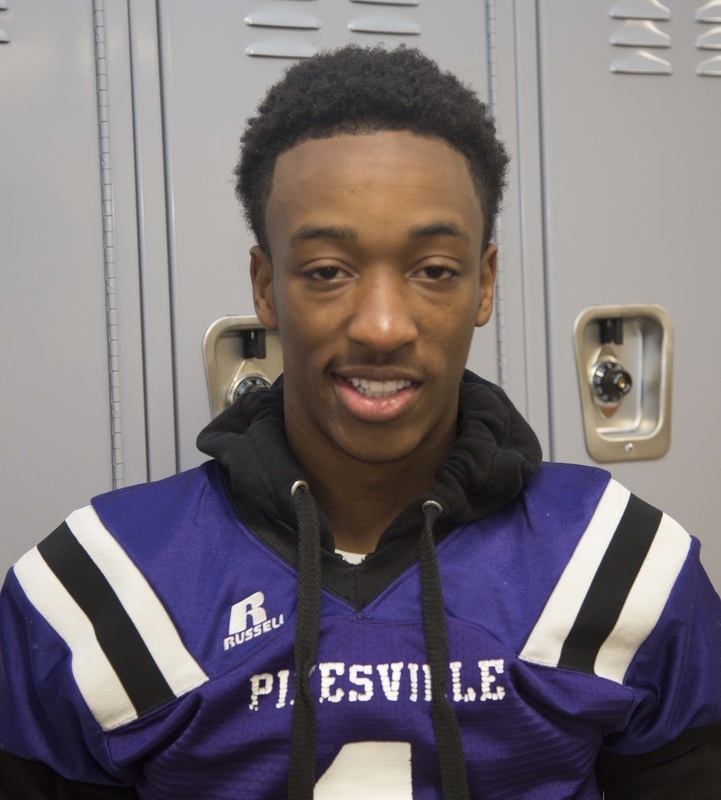 Damon’te Atkinson is a junior at Pikesville High School. During his free time, he enjoys detailing cars and washing all types of cars which is a hobby that brings him some income! Damon’te is on the football team at PHS and is the #1 wide receiver. He also plays quarterback and cornerback. Damon’te’s favorite football player is Tuvin Austin. Another hobby of his is writing music; his favorite class is AP US History. In my marketing class with Ms. Seawell students we were learning basic ideas of marketing, specifically how marketers think and how to get consumers to buy your product. In class we learned about the importance of catching the attention of customers. In a recent project that built upon this basic idea, we were able to choose a product of our choice to market. 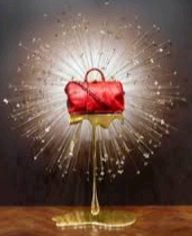 I selected Louise Vuitton since this is my favorite brand. I like their belts, messenger bags and basically everything else he designs. I already had a lot of background knowledge on how this brand markets their product and so I was excited to have the opportunity to use this brand to make connections with the principals we were learning in class. I was able to conduct my own research to extend my knowledge and I found a great case study done at the college level. Ms. Seawell also gave us some examples of how products have been marketed, which helped me get started with what I wanted to look for in my research. I was able to, once again, use OneNote and my device to conduct and organize my research before I shared it with my teacher. I really liked having the choice in this project to think about a brand I love in new way. 1. Select a store that you are familiar with. What is the name of the store? 2. Who is the target market? Why do you believe this is the target market? Louis Vuitton targets consumers that value fine craftsmanship, tradition, style, and above all else, more specifically, Louis Vuitton targets the following two segments wealthy middle aged women from 35 to 54 years old and affluent young fashionable female adults aged 18 to 34 years old who have disposable income and are brand aspirants. Louis Vuitton sends Buyer information that is collected at the point of sale and stored in a database. Therefore heavy users are sent seasonal catalogs as well as invitations to purchase exclusive product collections to encourage repeat sales and brand Loyalty. 3. How are they currently reaching their target marketing through visual merchandising? (hint: look at examples of displays online and provide visual examples) . 4. Identify how you could change the current displays to reach a different target market. Identifying who the target market is and Changing the Display to a belt Which 18-51 year olds buy more Because a lot of young adults are into designer belts and older Mature People Tend to Buy Belts that go with they’re Suits. 5. How are you adapting the displays to reach this target market? Be detailed in this section. Close Display to Guard the Belt From being stolen and it will bring a lot of attention. In Ms. Bailey’s class (African American Literature) we had a chance to use SWAY to create a presentation from our class book study. Ta-nehisi Coates, an author from Baltimore, wrote Between the World and Me. From this assignment, I was able to connect how his book helped out his son’s life. The book explained what Baltimore was like for him and how it impacted his son. We read this book both in class and at home. It was insightful for me to read about this influential African American author, especially one that is from my city of Baltimore! My teacher, Ms. Bailey, does a lot for our school in terms of diversity and black history month too. She asked Mrs. Meltzer, the media specialist, to help the class with using SWAY when we were ready to present. The class was excited to have another tool, other than PowerPoint, and we were surprised and how easy it was! This month has been a great month growing with this wonderful new technology that we have. This month I enjoyed using my device for a nice project with my favorite English teacher, Mrs. Labriciossa. We used our devices to create spiritual projects, dealing with Frederick Douglass and it helped our understanding of what went on during his time period. We had options of using PowerPoint presentations with videos or writing our own and using voki to record the audio. This was a great, fun experience because not only was it fun it benefited my grade because writing is something I enjoy when it comes to music, and so I wrote my own spiritual. In one of my favorite classes, AP US History, we were assigned a research project called “the old west world café.” For this assignment, we were divided into groups and each group was assigned a different group of people from US History. These were groups that played an important role in the settlement of the west. We used our devices in class to conduct research on our assigned group. The group options were Chinese Immigrants, Irish and Italian immigrants, Mormons, African Americans, Latinos, and Swedish and German Immigrants. We were researching to discover aspects of western expansion from that groups’ perspective. Within our groups we worked together to cover many aspects for our group including: motivations for immigrating, challenges our group faced, working and living conditions and how our group would have interacted with other groups. We were able to get a lot of research done in class using our devices and databases. The best part of the assignment was the role-playing part, where we had small discussions according to our characters. Topics for discussion were presented on placements, as if it were a meal, in a café. This activity was fun because we were all so into our characters! In my marketing class, we had visitors in our class who had started their own business. The founders and developers of Activities Right Now, a start-up company, came to share their business plan us. It was really amazing to hear from people who started their own company. They were preparing to go live with their website, but were looking for strategies to increase engagement from their business to business customers. We used our devices to study their website and provide feedback through the BCPS One Discussion tool. All of the ideas and suggestions were shared with the business owners to potentially apply to their business plan. They may be returning at the end of this year or beginning of next year to share the progress of their business and to have students participate in creating marketing plans for their consumer based customers. It will be exciting to see how they used our ideas to make real changes for their business! So far this school year, I’ve noticed its easier to stay organized. I like that I don’t have to keep up with a lot of papers. It is so much easier to use the turn-ins in BCPS One to submit assignments, instead of turning in a paper copy. Now students are not able to blame teachers for losing their work or lose it themselves! One tool I really like is Office 365. Using One Note, I can access files from my teachers easily. In my English class. my teacher made many resources available for The Crucible project using Padlet. We could choose between audiobooks, PDF’s, or a hard copy of the textbook. Since some kids would rather listen to a book instead of reading it, it is nice to have options. We had to read and choose an annotation tool to take notes on our chapter. I chose the highlighter tool for the word document.